Modern and comfortable hotel with in-house dining area. Flagship Hotel Rajwada is a modern property with bright and cosy rooms, located on Station Road in Aurangabad. The hotel is located near the Baba Petrol pump in Bhagya Nagar. The hotel offers in-house dining and has a kitchen. Spacious rooms of this hotel are painted in pleasant colors. The bathrooms are clean and well-maintained. All the rooms of the hotel feature a television and an air conditioner. 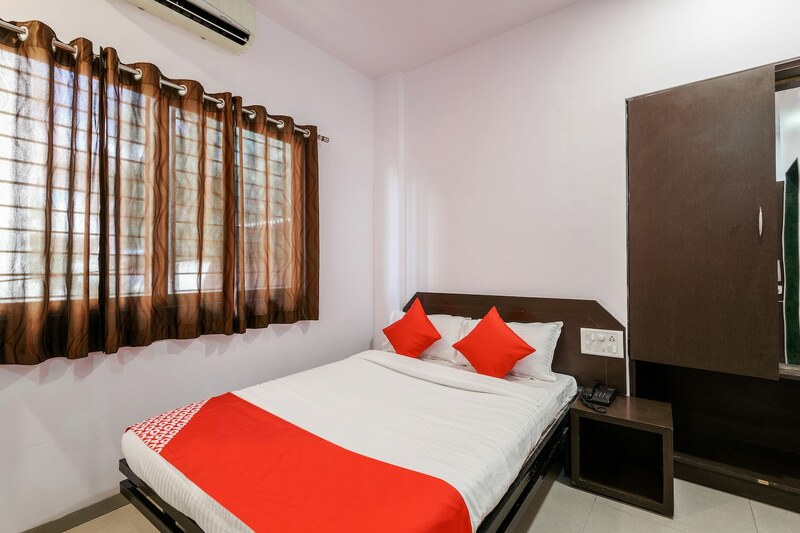 Apart from the CCTV security, guests are also offered free Wi-Fi, power backup, parking facility, and laundry service. Tourist spots like Ajanta cave, Ellora cave, and Bibi Ka Maqbara can be explored easily from the hotel. Some nearby food joints are Bhoj Thali Restaurant, Thaat Baat and Coffee & Cookies, and Cafe Royal de.